Now that the olive blossom has faded, the dominant scent in the olive grove is once again a strong, minty fragrance. Tracing the scent back to its source, I stumbled upon an aromatic plant with small, downy, greyish leaves, which resembled oregano. Michele informed me it was nepitella (calamintha nepeta to give it its botanical name), or lesser calamint – a wild mint that grows throughout Tuscany, and which is a typical flavour of Tuscan cuisine. Nepitella is low-growing – it is dwarfed by taller weeds and windflowers in our ulivetto – so the aroma is key to identifying its presence. The scent is particularly heady at harvest time and during picnics, when its leaves are bruised by nets and blankets. It is easier to spot when it flowers in summer and is covered in a profusion of tiny lavender and white flowers. Although it is less vigorous than other mints, it is resiliant and fast-growing, already resprouting where we have mown the grove. The optimal time for harvesting nepitella is early summer when the flavour is supposed to be at its most intense, but it can be picked at any time of year and used fresh or dried. To dry nepitella, as with all herbs, stems should be tied into small bundles so that air can circulate, and hung in a dark, dry room for a couple of weeks. In Tuscany nepitella is eaten almost exclusively with mushrooms (preferably of the porcini variety) and is often simply referred to as erba da funghi (mushroom grass), although it is sometimes also used with artichokes and courgettes. 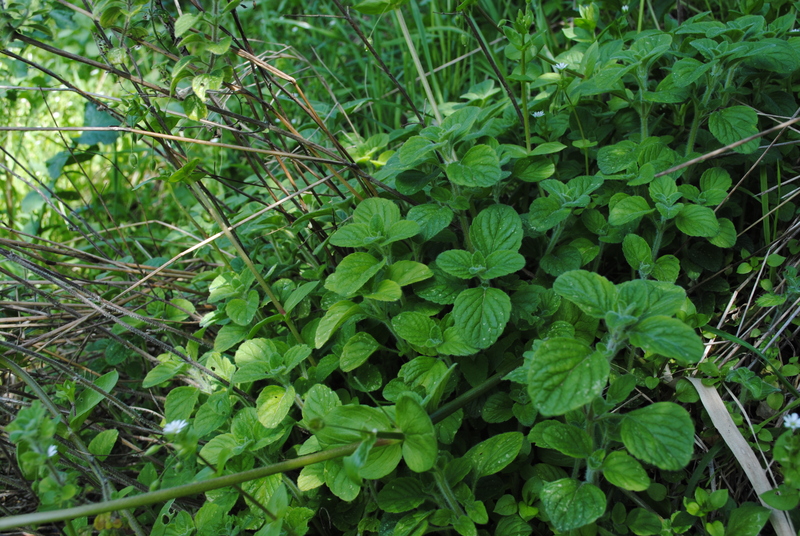 While the fragrance of nepitella is definitely on the minty side, the flavour is distinct from mint and usually described as a cross between mint and oregano. The flavour is intense and a little goes a long way. As well as a culinary herb, nepitella has been used for centuries as a medicinal herb to aid digestion and insomnia, break fevers and relieve period pain (it should be avoided by pregnant women). Pliny recommended it for warding off snakes and apparently it was also traditionally used to treat scorpion bites – luckily I haven’t had call to test it yet. Instead, while we wait for porcini season to commence, I have been using it to make both hot and iced tea – regardless of any potential medical benefits, it’s refreshing and aromatic. I love the blog, really nicely written! Ah, that’s so kind of you to say to, thank you! My pleasure, I’m enjoying reading your posts! Oo, I have foraging envy. I forage here but calamint seems way more exotic than nettles! And soup. I love nettle soup. I love the smell of nepitella. It grows around Casa Debbio and I often smell it when I step on it. I am addicted to the smell! I crush a few leaves in my hands every time I pass a plant. Yum, I must try that next time I make pizzas (at the moment it’s so hot I can’t bear to turn the oven on). Let me know if you try. It’s really hot here as well, after a very late start, summer has finally arrived (I’m not sure it’ll last though). Another plant I don’t find here is the “erba vetriola” (I think the English name is lichwort…). It has nothing to do with the nepitella, but you made me think of it…. I grow this plant as an ornamental – here the common name is calamint. I had no idea it was an herb used in cooking! I’ve seen it recommended as a great perennial for borders in the UK, but in Tuscany it seems mainly valued as a culinary herb. If you can eat something, the Italians will know about it! Definitely worth trying it next time you’re cooking mushrooms, zucchini or artichokes – or a Lauzan suggests above, sprinkle it on some pizza. It’s delicious! I so enjoy the virtual trip to your olive grove! So many aspects to appreciate. Thanks for sharing! It sounds delicious! I am also looking forward to porcini season!! I have the usual nepeta grown for its flowers, I don’t think the smell if that would be very pleasant. 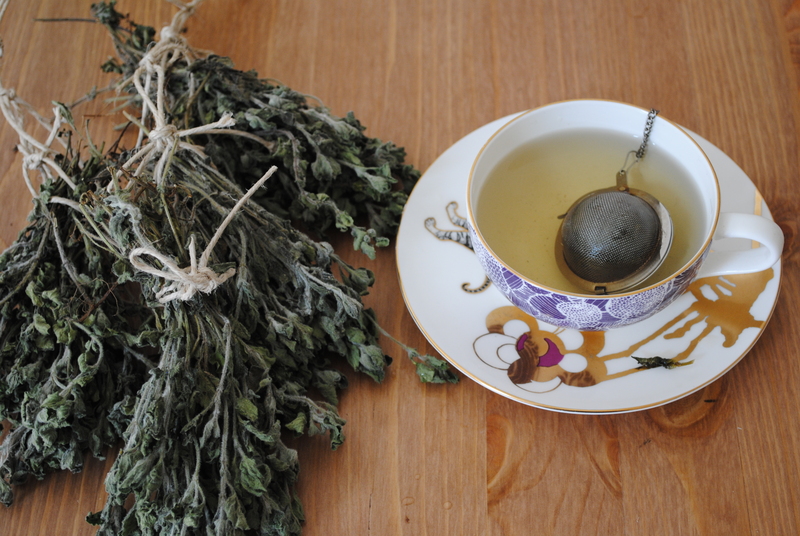 In Lazio we tend to use mentuccia which has tiny leaves and a very strong, dry minty flavour. I have other mints in the orto but I don’t think I have this one. We don’t put anything minty on porcini (sounds a bit wierd to me) we use dried fennel flowers – they’re wonderful. I think it’s the oregano-yness of nepitella that makes it go so well with porcini – a Tuscan poster above also recommended it for pizza, which I can imagine is good too, although I would never use normal mint these things. It’s like oregano but with the freshness of mint… hard to pin down. Fennel flowers sound delicious too. Thank you for the visit and the like of my post “Lightly Pink”. Anything hand-grown or hand-picked is tastier, I find. Thanks for visiting again. I like any kind of mint – just crushing it between your fingers on a hot summer’s day to release the intoxicating smell is so good (I have a particularly fragrant chocolate mint growing in a pot) but this one sounds very interesting being similar to oregano, I shall look out for it. Thanks for an interesting and informative post. Thanks for reading it! I am addicted to the smell of nepitella but also other mints. I love apple mint but I’ve never tried chocolate mint – I’ll put it on my list of herbs to try… it’s hard to get a good selection of seeds here though. Thanks for stopping by my blog – I quite like what you’ve written here. I don’t think we have this in Guernsey but now I have some new ideas for nettles thanks to the comments section! Glad it was useful! I’m always surprised how good nettles actually taste!